The use of cobots in machining in the metal industry appears to be rising significantly. Cobots can be described as a low-threshold automation solution. This is why cobots are extremely suitable in some situations. However, cobots are often chosen despite the fact a loading robot – also called an industrial robot – would be a much better automation solution. 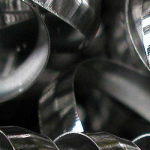 In this article, we will discuss the advantages and disadvantages of cobots for metal machining experts. A cobot – also called a co-robot or collaborative robot – is a robot designed to work with people. The difference with loading robots is that loading robots are usually designed to operate automatically in an independent manner. The purpose of a cobot is to support the work of machine operators, for example conveying or clamping a product. In contrast to the process performed by loading robots, human action remains an essential part of this process. Originally, cobots were intended for direct physical interaction between man and machine. There are a number of fundamental differences between cobots and loading robots. The biggest difference is in the operating software. A loading robot is a universal system. 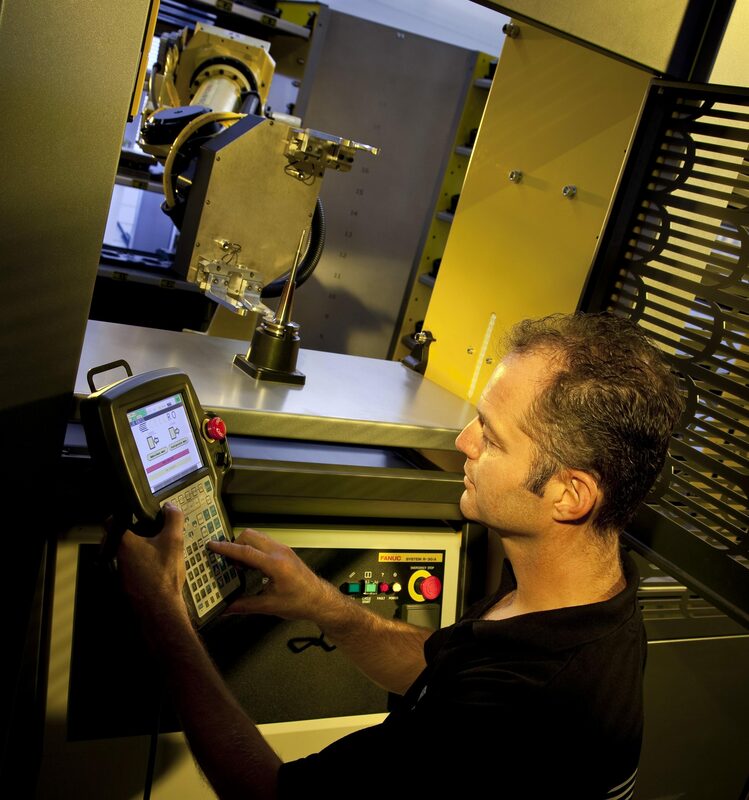 This means that the software is focused on automating every machining process. It is generally thought that cobots are simpler to operate. However, the operation of cobots comes with a major disadvantage in that the system is either not self-learning or is only self-learning to a very limited degree. This means that many repeat tasks to be performed by the cobot have to be entered over and over again. The system is simple, but not smart. 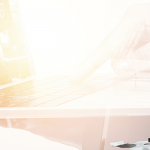 Loading robots, on the other hand, are universal, equipped with all the necessary functionalities and known for their flexibility and user-friendly software. 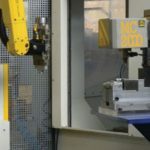 Loading robots also have a simple inlay configuration and a gripper system that enables the robot grippers to be adjusted to the product to be machined. Another difference is the storage capacity. Loading robots have sufficient smart and spacious storage, while with cobots this is often limited to just a single table or layer. The greatest difference in terms of product handling is speed. Loading robots work much faster. This is due to safety reasons: a cobot has to work slower to prevent hazardous situations for the people working with the cobot. 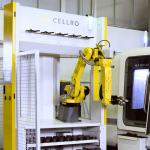 A loading robot such as Xcelerate works with a safety zone to ensure a safe distance between man and machine. This allows the robot to work at a higher speed. 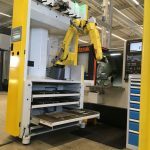 Another problem that metal machining experts may encounter when using cobots is the limited handling weight. Standard cobots that are currently available on the market have a maximum handling weight of fifteen kilos. This limits the range of products that can be processed with a cobot. Only Fanuc’s cobot is an exception in this respect. Loading robots can be equipped with a double gripper, Fixture Exchange and a centring and take-over unit, which ensures an efficient process. Furthermore, a loading robot forms a whole with a net cable package incorporated into the robot. Cobot cables run along the outside. 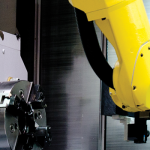 Loading robots are constructed from high quality components and are therefore better suited for 24-hour production. 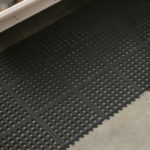 A loading robot is also more resistant to dirt. This means that a loading robot can also function for a long time in dirty environments. A cell is more than just a cobot or a robot. A cobot is a stand-alone machine in itself rather than a complete system. This means that parts such as a loading unit, grippers, etc. do not come as standard. In other words, extra components must be added to make a cobot a fully functioning system. A loading robot, by contrast, is a fully functioning cell. It is a simple matter of plug and play. A cobot’s purchase price is lower than the purchase price of a loading system. The difference in the total price, on the other hand, is smaller. Extra components are required to turn a cobot into a complete system. Moreover, a loading robot’s machine efficiency is much higher. This has to do with the completeness of the functionalities that render continuous unmanned production possible. When is the use of cobots worthwhile? Cobots are an attractive option due to their low entry threshold. It is a limited investment. A cobot is ideal for gaining experience with robots. Programming experience is not required. This makes a cobot extremely suitable for companies with little in-house technical knowledge. In addition to automating machining processes, cobots can also be more cost effective. In the assembly and packaging industry, for example, people often work with products that weigh less than ten kilos. A cobot would be sufficient in such a situation. A cobot is also fine in a clean working environment where the actions to be carried out consist purely of picking and placing. 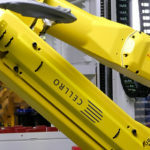 Furthermore, cobots are often procured as an automation solution for inexpensive or existing machines, for large series, or if the cobot only needs to be used to a limited extent. Even in such cases, however, the lack of flexibility remains a problem. Speed: as of now, a cobot should not accelerate faster than 250 mm per second, while a loading robot’s maximum speed is four times that. Efficiency: a gripper switch and Fixture Exchange are not possible with a cobot, which severely restricts its flexibility and usability. In short, a cobot is especially suitable as an automation entry-level model for companies that have little experience with technology and robots and/or do not have much to spend. In some cases, it is possible to be satisfied with the cobot’s lower machine efficiency and lack of functionalities – functionalities that a loading robot could indeed offer. It all depends on how the company does business. However, companies in the machining industry often switch to a loading robot sooner or later. Would you like to know more about the differences between cobots and loading robots? Cellro’s specialists are always there for you with tailored advice. 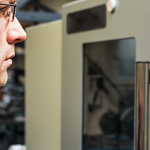 Next post Industry 4.0: how will it affect metalworking?